One of the creators of the upcoming tribute album Bob Dylan in the 80s: Volume One calls the songwriter's output in the decade "off-rhythm." Not that Dylan didn't make some great music in that time: it was just his quirkiest, least commercially successful period and included his born-again episode, his Grateful Dead flirtation and his moonlighting lark with the Traveling Wilburys. In that spirit, project coproducers Jesse Lauter (who has produced Elvis Perkins and the Low Anthem) and Sean O'Brien (Dawes) recruited some intriguingly oddball contributors, including Tea Leaf Green, the musical comedian Reggie Watts and Gene Ween and Slash (yes, the latter two together). Perkins takes on "Congratulations," from the Wilburys' debut, and Deer Tick tackle "Night After Night," a track from the out-of-print soundtrack to the 1987 film Hearts of Fire, which Dylan has basically disowned. Rockers Built to Spill also cover the (self-?) accusatory Infidels track "Jokerman," which premieres here. "You're a man of mountains, you can walk on clouds," sings BTS frontman Doug Martsch. "Manipulator of crowds, you're a dream-twister." It's a line anyone who's had an approving audience might recite to himself in a crisis of confidence. 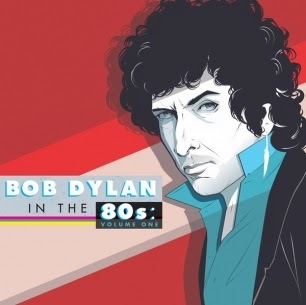 In the Eighties, Dylan produced much more good stuff than he's often credited for, says the novelist Jonathan Lethem, who wrote the liner notes. "Were one to begin compiling instances of greatness in the type of songwriting that defines our esteem for the earlier Dylan – complex, suggestive, glinting, cascading constructions – you’d hit a dozen examples even before the 'comeback' of Oh Mercy," he argues.